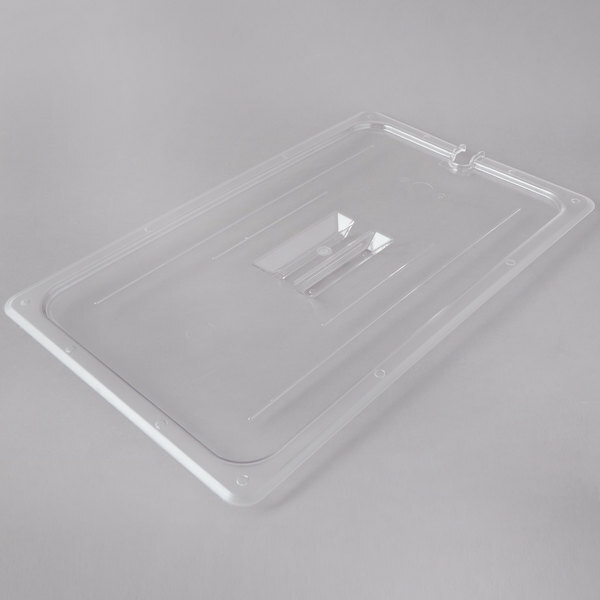 Made of crystal clear, shatter-resistant polycarbonate, this full size notched food pan lid with handle can withstand temperatures from -40 to 210 degrees Fahrenheit! The durable polycarbonate material also resists food acids and oils to maintain its attractive appearance. A convenient spoon notch allows easy access to serving spoons. We love these lids! 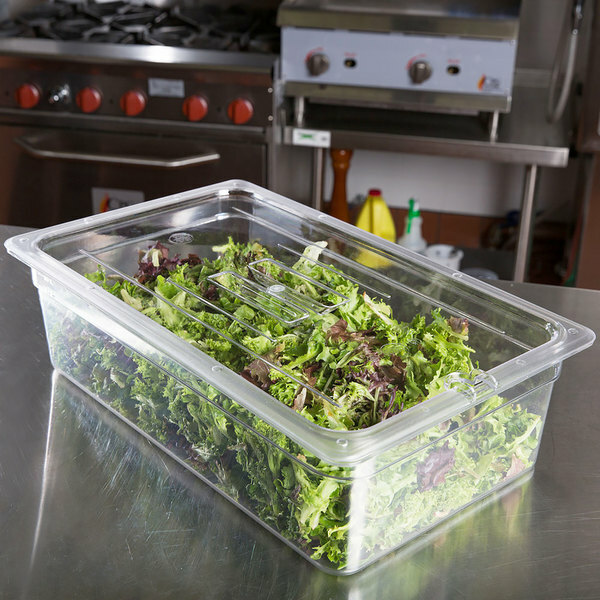 it keeps our vegetables and our meats fresh in our cold table. They are is a very strong, doesn't break for how much we drop it. Very easy to clean! 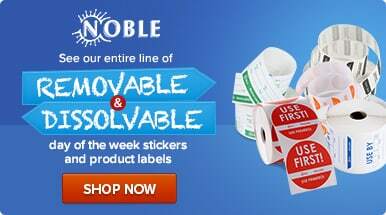 I recommend the product, great quality! Same quality as the pans. Good fit. Will use in the future when preparing food. Delivery was quick and items were well packed. Would order again. This lid pairs very well with the suggested pan. The spoon notch and handle helps keeps spoon in place for easy access and easy clean up. This is an alternate version of the full size lid that we absolutely love. It has a wonderful notch so utensils stay in the container even when closed. In a large setting that is important, I hate when someone puts the serving utensil on the table to grab germs from everywhere! These clear food pan lids are amazing. I expected them to withstand the cold in the freezer but not the heat in the food warmers. The clear cover allows you to see what is in the pan without uncovering the lid. They fit the regular full sized pans very well. They are also easy to clean. 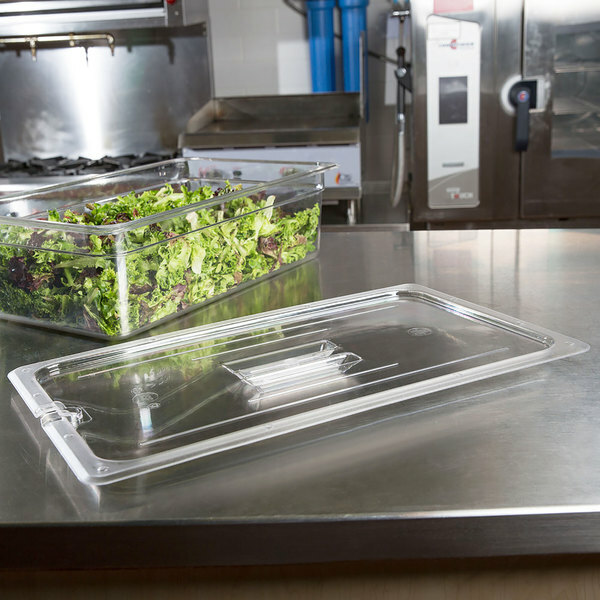 The Full Size Clear Polycarboante Food Pan Lid with Spoon Notch and Handle is well made and durable. It will not break if dropped and is easy to clean. The handle is easy to grip and the spoon notch is an added bonus. I will be purchasing more of these soon. Great product. We usually have a salad bar during our Labor Day celebration, and after everything is prepped we store the items overnight. These lids have save us a lot of money that was used to by aluminum foil. This is another great product. I thought that I had ordered the deeper pan though but we have still found many uses for this one. These are great quality and I like them with the spoon notch in them. We use them on full size pans for catering all the time and they work great.